You&apos;ve got an extra day to enjoy all that Wilmington & the Brandywine Valley offers! Here are our picks for your weekend itinerary – and don’t forget to share your travel pictures using #VisitWilm on Instagram & Twitter! 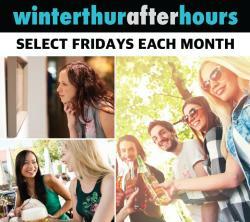 Winterthur After Hours presents families and adults with an opportunity to explore Winterthur Museum, Garden & Library in the evening. Explore the Galleries and grounds, enjoy a sunset tram ride around Winterthur’s barns and outbuildings, and grab a drink in the beer garden. This week, husband and wife Indie Folk Pop duo Tino & Ashley will perform and admission is Pay What You Wish. 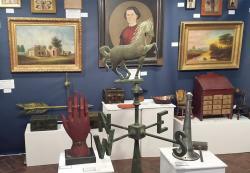 The Brandywine River Museum&apos;s 46th Annual Antiques Show features furniture, rugs, porcelain, needlework and much more from distinguished dealers of the mid-Atlantic region. Weekend events include curator and dealer talks. Tickets are $18. The wait is finally over! After a two-year revitalization, the Longwood Main Fountain Garden will finally reopen. Inspired by the great fountains of Europe, it&apos;s the most significant fountain collection in the United States. There will be Fountain Shows daily with extended hours on Thursdays, Fridays, and Saturdays, with evening shows at 7pm & 9:15pm. Poppycock Tattoo&apos;s 7th Annual Wilmo a Go-Go takes over the Wilmington Riverfront on Sunday! Featuring 1972 or older cars, rockabilly bands, vendors & food trucks PLUS Miss Wilmo a Go-Go pin up contest & men&apos;s beard/ mustache contest! FREE admission for spectators, $10 registration for vintage cars.